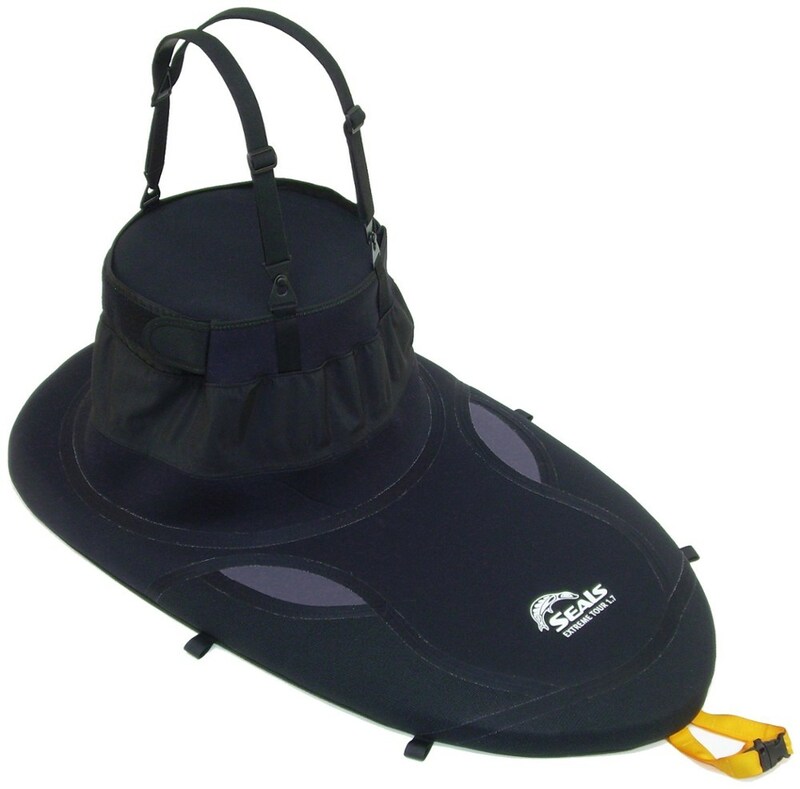 A step above a basic nylon sprayskirt, and suited for more serious day touring in moderate paddling conditions, the Seals Adventurer sprayskirt includes a tensioned deck stay for enhanced water shedding capabilities and adjustable/removable suspenders to keep the skirt riding high and dry over the cockpit. . . . . . . . Made of medium-weight coated nylon packcloth with double-stitched and sealed seams. . Tensioned deck stay allows water to drain off the skirt instead of pooling. . Rim grip/safety slip technology keeps the skirt securely in place. . Adjustable tunnel waistband with removable suspenders ensures paddler comfort and a secure fit. . Best for moderate paddling conditions (waves regularly breaking across deck with increased chance of capsizing). . All Seals sprayskirts and accessories are cut and sewn in the USA. . Custom sizes and colors may be available. Please call customer service at 1-888-463-6367 to learn more about a special order. Additional charges may apply.. . 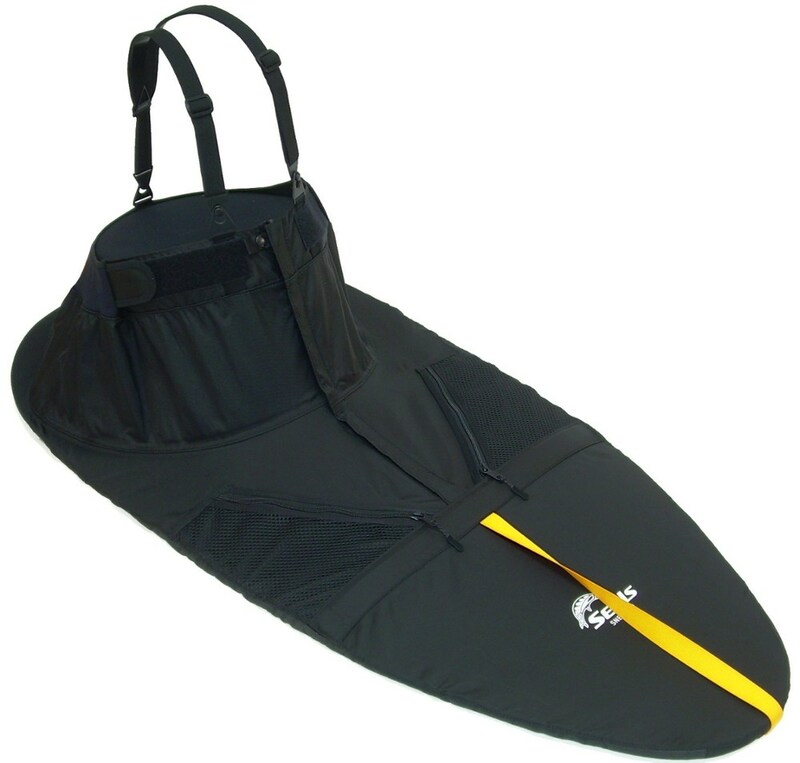 This general-purpose Seals Adventurer 1.4 Spray Skirt great for moderate paddling conditions and helps keep water out of your kayak cockpit while protecting your legs from harsh sunlight. 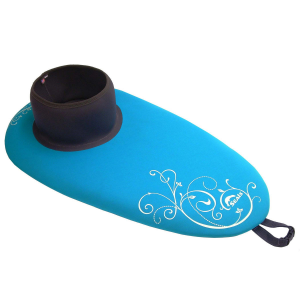 Whether you like to paddle on water so smooth it reflects your face like glass or you like your conditions a little spicier, the Seals Adventurer Touring Skirt is on your side. 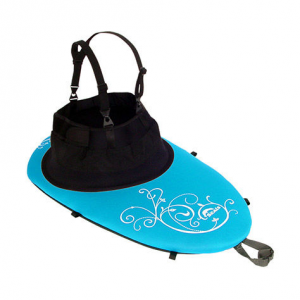 This spray skirt is constructed with midweight coated nylon packcloth, so it can stand up to both splashes coming over the side of the boat as well as abrasions from a mistimed paddle stroke. 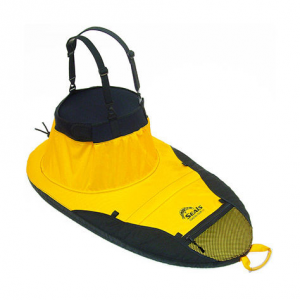 The tunnel adjusts to fit you exactly and the suspenders ensure it stays right in place. The rim uses safety slip technology to maintain a tight hold and resist implosion so water stays on the right side of the skirt. 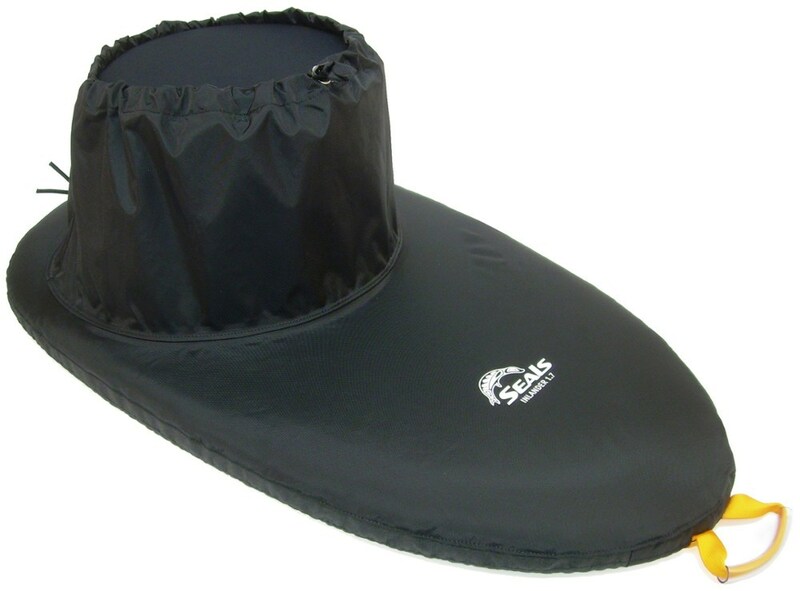 Seals Adventurer Kayak Spray Skirt - The Seals Adventurer Nylon sprayskirt is designed for moderate paddling conditions with touring and recreational kayaks. Nylon packcloth is durable and water-resistant, and the tensioned deck stay keeps water from pooling. An adjustable tunnel with removable suspenders lets you adjust the fit. CLICK HERE FOR VIDEO Nylon sprayskirt designed for moderate paddling conditions with today's touring and recreational kayaks in mind.Medium-weight coated nylon packcloth construction for durabilityTensioned deck stay keeps water from pooling over paddlers lapRemovable suspenders with adjustable waistband allows a comfortable fit for all size paddlersRim grip / safety slip technology keeps the skirt securely on the cockpit of the kayak while also allowing for it to be quickly removed in the event of a capsize.Use the Seals Fitting Guide to determine the size of your kayaks cockpit.